Sony sliced $50 off the price of PlayStation 4 video game consoles Thursday, matching that of rival Xbox One ahead of the frantic holiday shopping season. The PS4 drop to $350 in the United States and to 430 Canadian dollars in Canada starting Friday, according to Sony Computer Entertainment America (SCEA). "Our goal at PlayStation has always been to offer the best place to play at a compelling value to gamers," SCEA chief executive Shawn Layden said. While PS4 has led the market since its release two years ago, Microsoft recently began gaining ground with the release of Xbox One consoles with a reduced price of $350 because they come without Kinect motion-sensing accessories. Layden touted the pending releases of eagerly anticipated games including "Call of Duty: Black Ops III" and "Star Wars Battlefront" along with PS4-only blockbuster "Uncharted 4: A Thief's End." Game studios usually create versions of hot titles for both major consoles to cater to a broad audience of players. As performance differences between the two major video game consoles have narrowed, competition has focused increasingly on getting exclusive titles or early access to coveted games, as well as on price. Sony and Microsoft earlier this year introduced consoles with ramped-up storage space, playing into a trend of people downloading game software onto drives instead of buying disks. 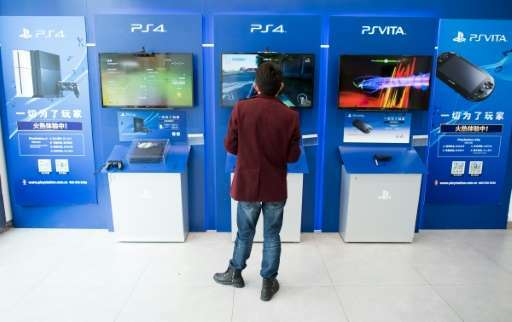 PS4 consoles trounced Xbox One after the new generation consoles hit the market in late 2013. Microsoft later lowered the price and increased the focus on game play, rather than features such as streaming films, and has begun narrowing the sales gap. Sony has shipped a total of 25.45 million PS4 consoles worldwide, while Microsoft has shipped 13.88 million Xbox One consoles, according to industry tracker VGChartz Network.